Consider joining IEA Georgia for $30 a year to get access to all chapter meetings at no cost and discounts for special events! Types, Passions, Virtues, Instincts. These are fundamental concepts in Enneagram studies, but what do they really represent and how do they fit together? In this workshop, we’ll be exploring the relationship between Enneagram Type and the Instinctual Drive which represent deep psychological conflicts that are the primary sources of our Personality’s fears and insecurities. Drawing from the source tradition of the Enneagram in combination with new material and insights, we will be taking a fresh exploration of how to bring the heart into a more conscious and less reactive relationship with our instinctual needs. John is one of the freshest, most exciting voices in the Enneagram today. He facilitates at New York Enneagram, and has presented at the IEA Global Conference and The Shift Network's Enneagram Global Summit. 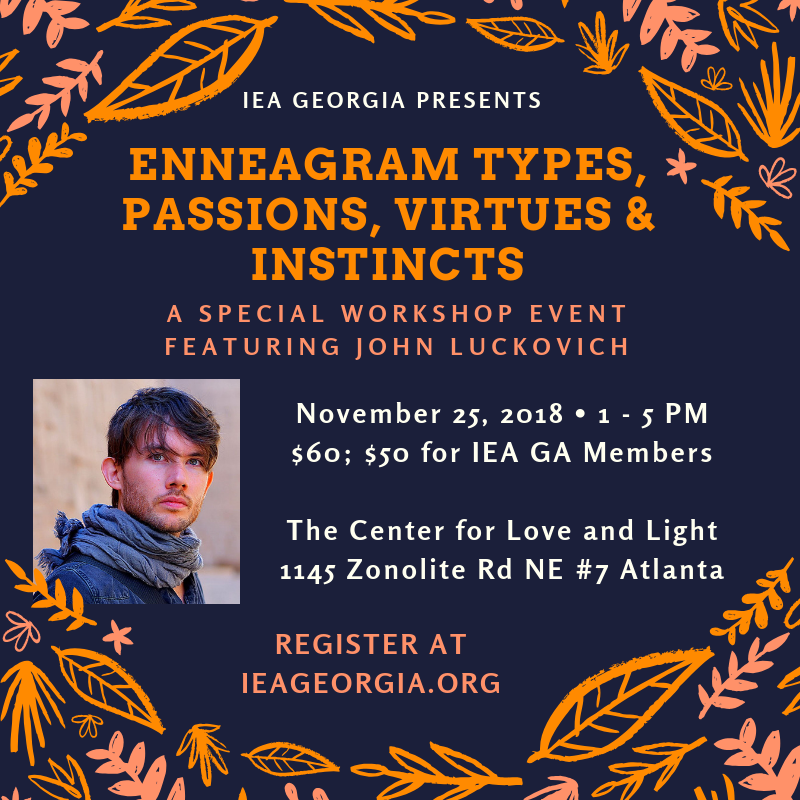 John Luckovich, native of Atlanta, fell in love with the Enneagram in high school and has been a heart-centered investigator of how to use this wisdom based spiritual transformation tool ever since. As the assistant to Russ Hudson, he is at the epicenter of Enneagram thought. He is an international teacher and traveler and a new voice in the Enneagram world.